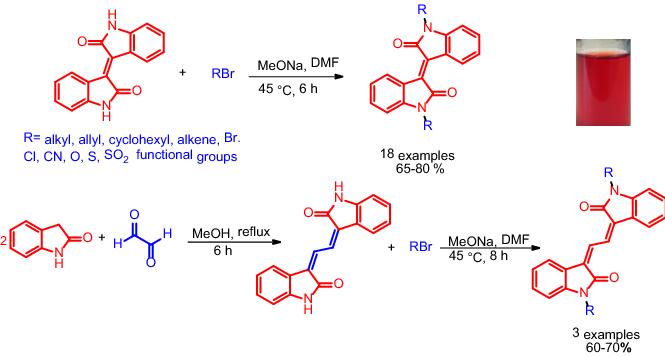 A library of N,N-substituted isoindigo derivatives were prepared by reaction of isoindigo with a variety of alkylating agents in the presence of MeONa under mild conditions in yields of 65–80%. 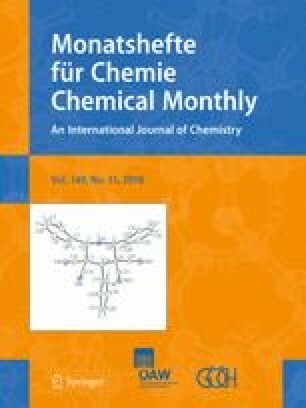 A new, more efficient synthesis of (3Z,3′Z)-3,3′-(ethane-1,2-diylidene)bis(indolin-2-one) is described by reaction of oxindole with glyoxal at reflux in methanol—a small library of N,N′-substituted derivatives were also prepared in 60–70% yield. The online version of this article ( https://doi.org/10.1007/s00706-018-2272-1) contains supplementary material, which is available to authorized users. We thank the Centre for Molecular Biosciences at the University of Wollongong for support.